Editor's note: This is Part 3 in a several part series where we dissect each offensive fantasy position and tell you what happened this season (2016) and how you can apply those lessons into your draft for next season (2017). You can check out all the lessons learned from quarterbacks, wide receivers, running backs, and tight ends throughout the offseason. 2016 was the year the general football consensus learned the importance of QB mechanics. Many quarterbacks have managed to skate by on arm talent alone and that makes them good fantasy options for one season. But inconsistent mechanics means inconsistent quarterback play and this means inconsistent fantasy production in the long run, explaining the huge drop off in quarterback production from 2015 to 2016. Aaron Rodgers and Drew Brees on the other hand have perfect mechanics and it comes as no surprise that both of them are consistently top 5 fantasy quarterbacks, with the odd SuperBowl thrown in too. Why not go with the guy who has thrown 12 TDs in the last two weeks as the start of the week? Big Ben set all kinds of records in the past two weeks and his matchup against the Jets is a lot better than his matchups the past 2 weeks against Indianapolis and Baltimore. Maybe he’ll throw 8 TDs this week! Just kidding but I really do not see a way he throws less than 3. The Jets rank dead last in fantasy points against QBs and have allowed an insane ratio of 24 TDs vs. 1 INT. 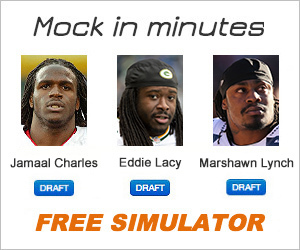 I’d only start Aaron Rodgers, Peyton Manning and Russell Wilson over him this week. Enjoy the ride. They’re playing Jacksonville…..case closed. No seriously, that’s most of it. Jacksonville has allowed opposing defenses to score a whopping 2.6 more fantasy points per week than the 2nd worst defense. Blake Bortles at this stage of his career is a turnover machine and many of his INTs are taken to the house. The game in London is on a sloppy field, and the weather is projected to be lousy. Look for a low scoring game where the Jaguars fall behind quickly, forcing Bortles to throw. The more he throws, the more points the Cowboys D/ST will score via sacks and turnovers. It’s been a while since I’ve recommended starting Matt Ryan, but the matchup this week is too tasty. Tampa Bay has waved the white flag on the season. Their personnel in the secondary aren’t NFL caliber players, especially after trading safety Mark Barron two weeks ago. Ryan has an inept offensive line protecting him and he could face some pressure from a formidable front seven, however, the bye week has given the Falcons two weeks to fix their offensive line woes. It’s been a disappointing season overall for Ryan owners, but big points are in store for this week’s cake walk of a matchup. Sometimes historical stats don’t matter all that much but in this case I think they absolutely do. Jay Cutler has a win/loss record of 1-9 and 19 INTs all time against the Green Bay Packers. These numbers are jaw dropping. I say the stats do matter here because basically the same coaching staff has been in place in Green Bay during Cutler’s entire career. The Packers know how to attack Cutler and make him a walking breathing turnover. When that many turnovers are bound to happen big points become possible for a fantasy defense. Look for more of the same in Lambeau this week. The Giants have been playing football from behind a lot lately and it’s actually led to Eli Manning being one of the better fantasy plays. Eli has been forced to throw for the entire 2nd half and has been able to convert on some late TDs while keeping his turnovers down. The same thing could very well happen in Seattle, but sometimes when you fall behind big too often, the other team starts generating a massive pass rush forcing sacks and turnovers. This is what happened three weeks ago in Philadelphia, and it’s what I see happening this week in Seattle. Seattle hasn’t looked exactly right defensively but the cure could very well be the Giants, who lack the weapons to hang around in this game. The Seahawks allowed the Raiders to make last week’s game close and I’m sure Pete Carroll will remind his team that they have looked absolutely terrible defensively. I expect the Seahawks turnaround to greatness to start this week. A tough day from start to finish is on the horizon for Eli Manning. The 49ers are always one of the first fantasy defenses off the board. Owners drafted them thinking they can just plug them in every week and the 49ers would at worst be mediocre and at best elite. This year’s defense has not had that type of success. They rank as the #17 fantasy defense this season. Navarro Bowman and Aldon Smith have been out all year and the loss of Patrick Willis has been tremendous. They have not been awful in terms of yardage as they rank 3rd and 5th in rushing yards and passing yards against respectively. However, there are just not enough big plays being made. They’re only on pace for 26 sacks after posting 38 sacks a year ago. The Saints are playing incredible football and are coming off back to back dominant wins at home against Green Bay and at Carolina. They’re mixing up the run and pass enough to keep Drew Brees upright and they’re keeping defenses guessing. The game is in New Orleans where Brees and the offense plays its best football and San Francisco could struggle to get stops if they’re not able to dial up a pass rush. Look elsewhere with a streaming defense this week. Editor's note: These are bullet points used to help explain our weekly QB/DEF rankings for Week 6. You can view the QB/DEF rankings here and here.